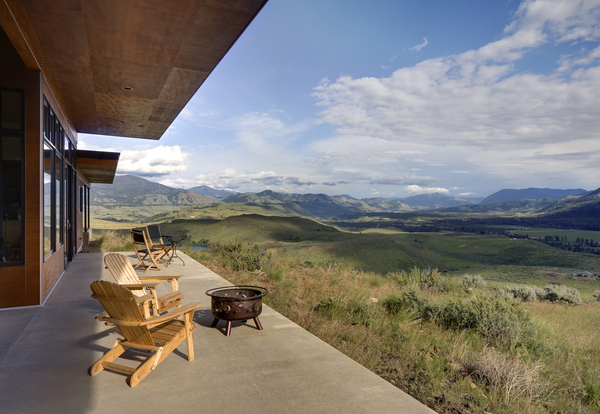 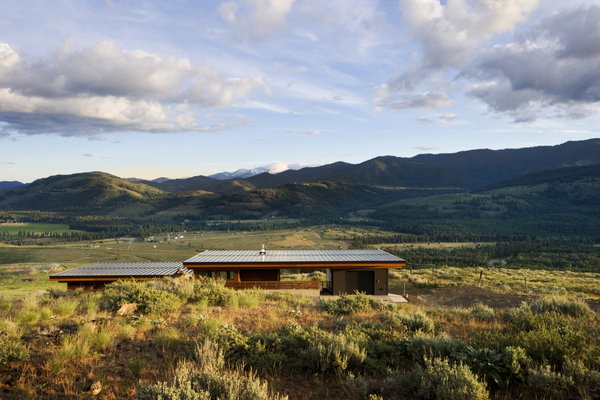 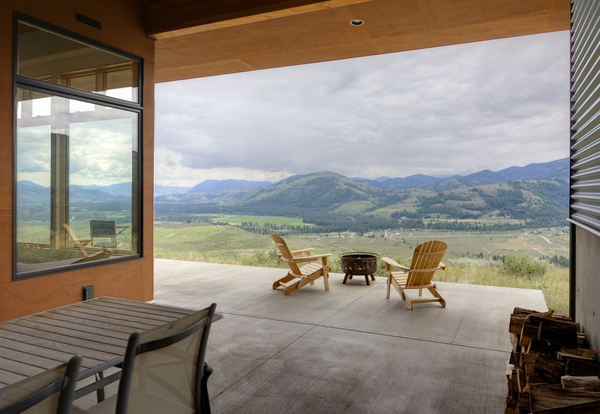 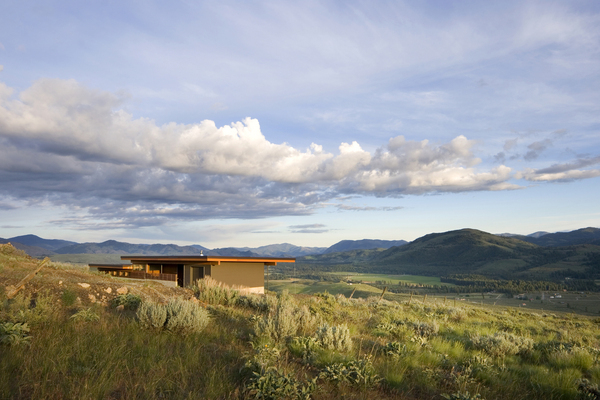 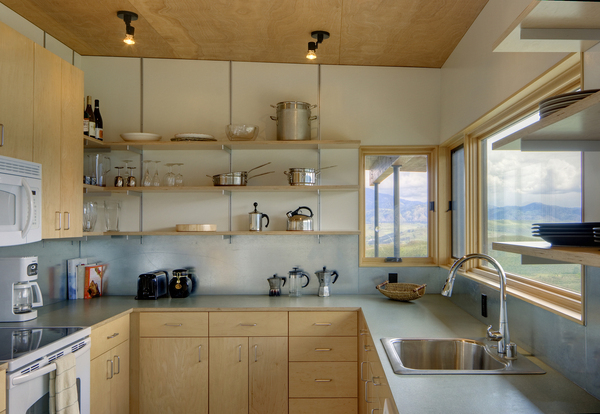 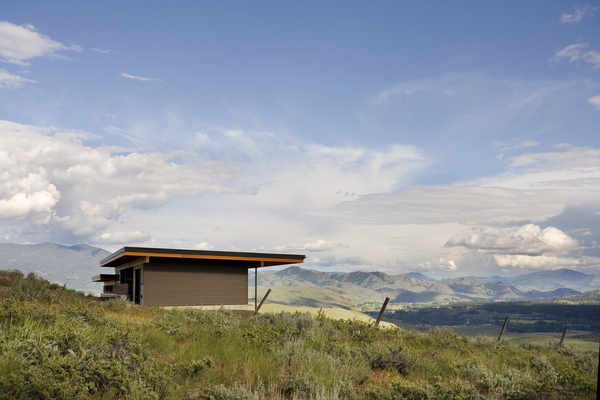 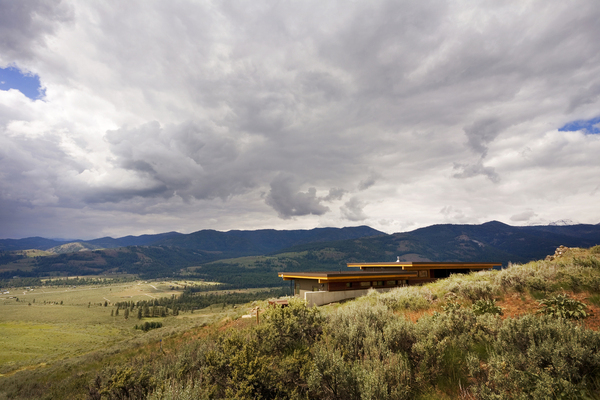 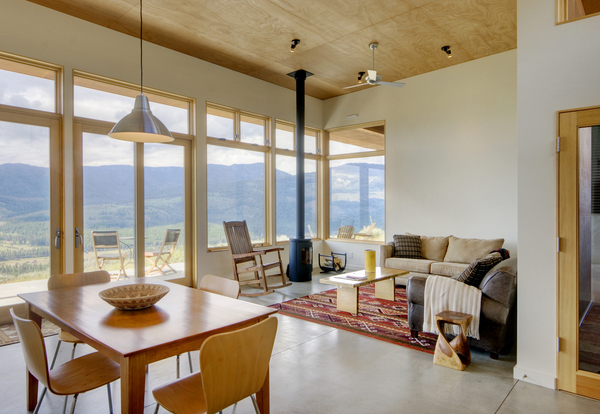 Located between Mazama and Winthrop in the Methow Valley, Washington, this 1,200 square foot cabin with 300 square foot garage is sited on the top of a hillside with dramatic panoramic views of the valley floor below. 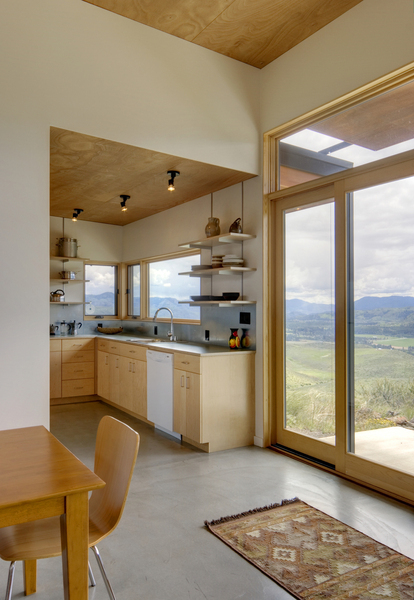 The rectangular plan is oriented on an east-west axis to take advantage of solar orientation and views. 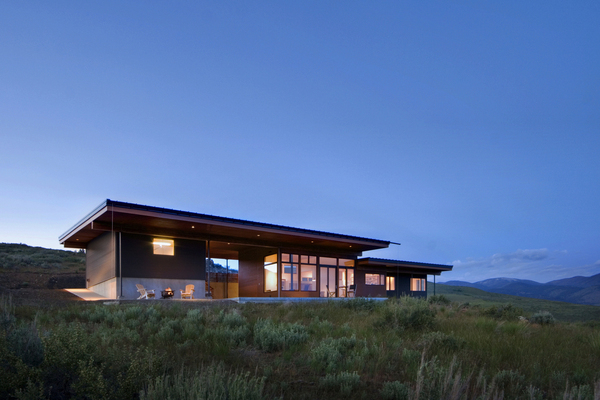 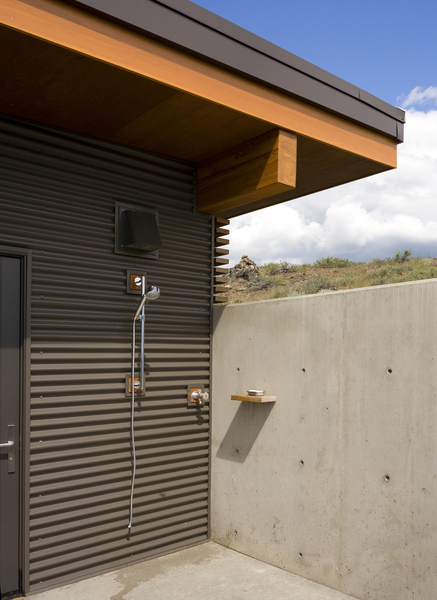 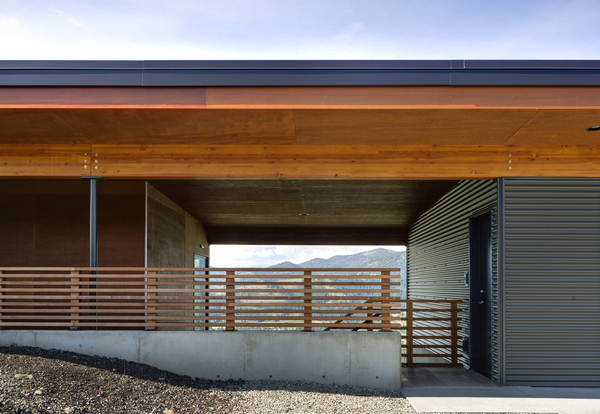 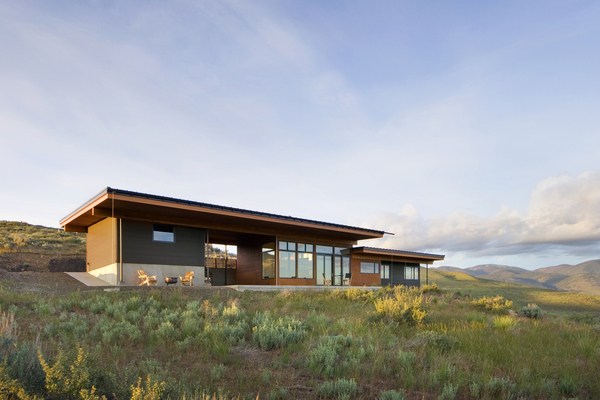 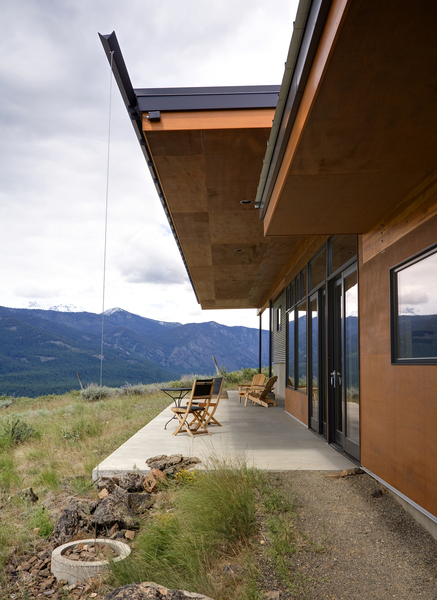 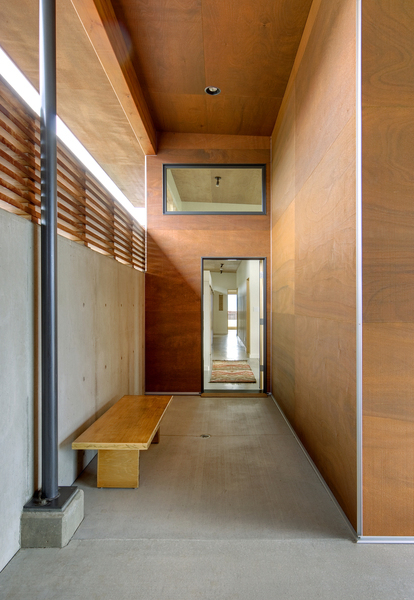 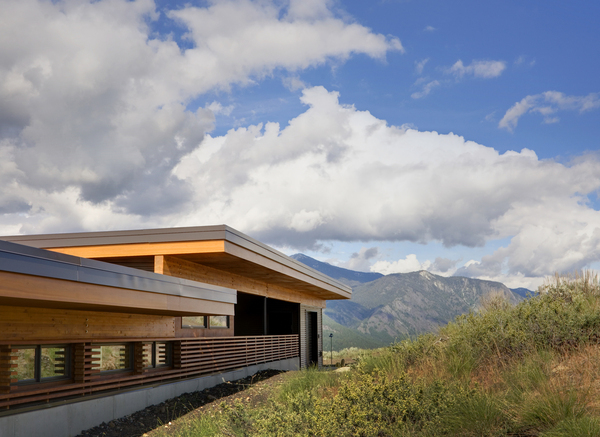 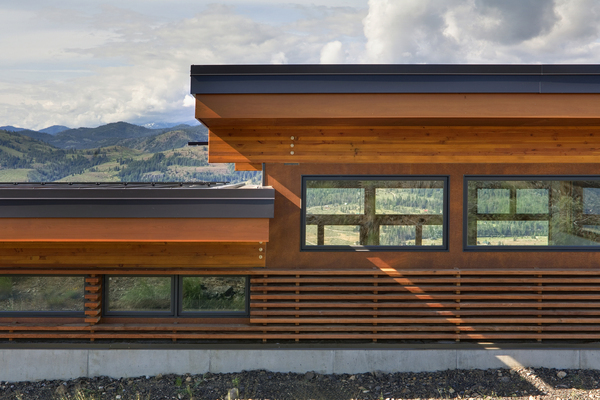 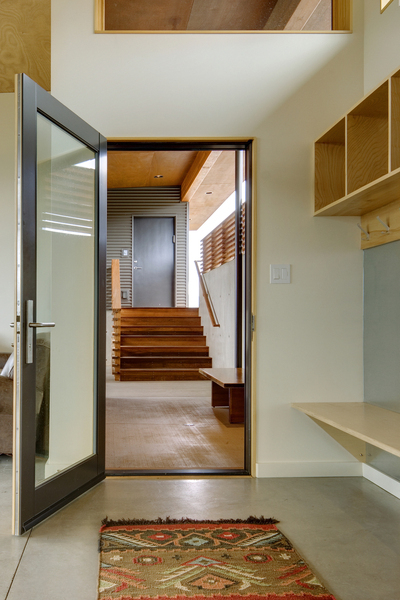 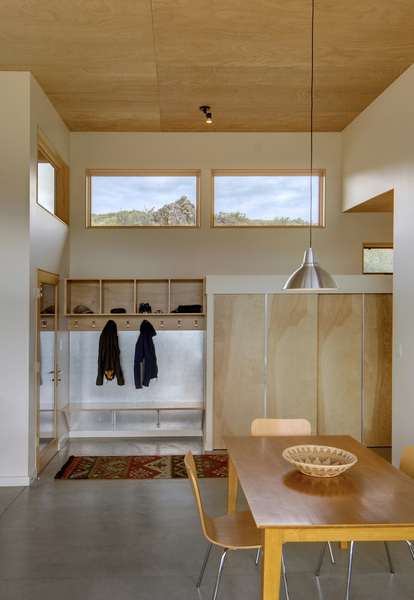 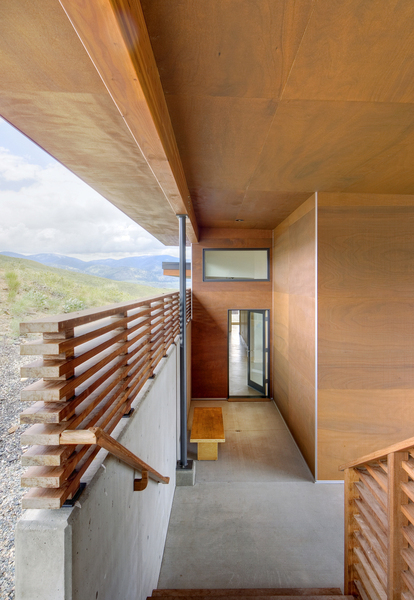 The outdoor dining area is protected from the occasional hilltop wind gust by the garage, and the house has a single roof plane that serves as a protector and a connector between the two forms. 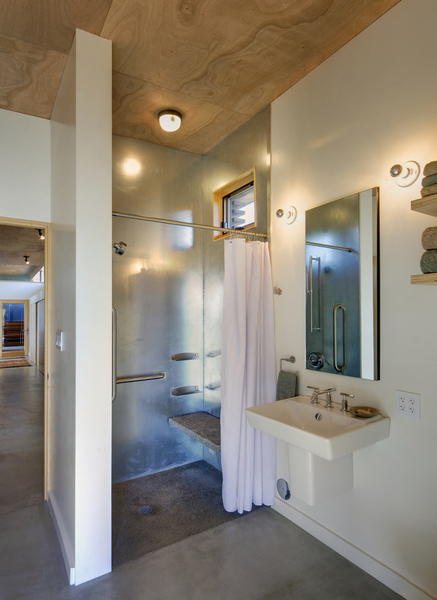 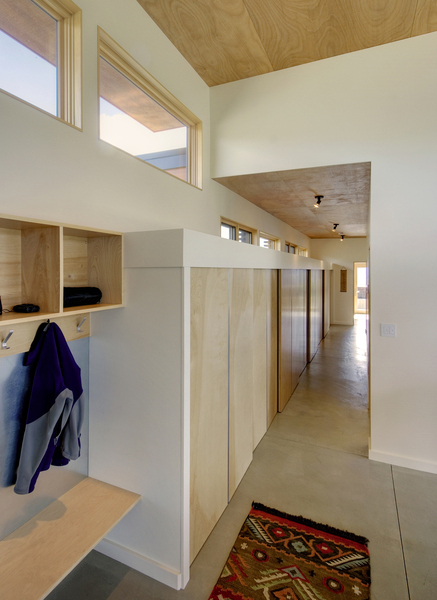 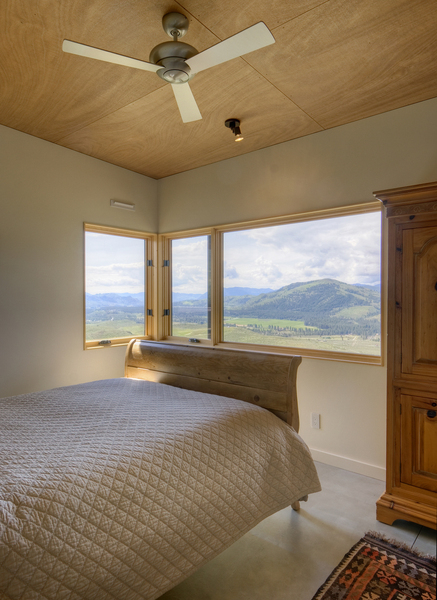 The bedroom wing is nestled under the lower roof plan and has an outdoor shower area to the east.